This is a card that says that the Querent has used up all the energy they started with at the ace. They don’t feel that creative, driving force any more. The image on this card implies that the Querent has complete control of all the many things he wanted control over. He is the leader, the boss. But this means that all the burdens are his as well. He’s trying to do everything, and it leaves him drained. 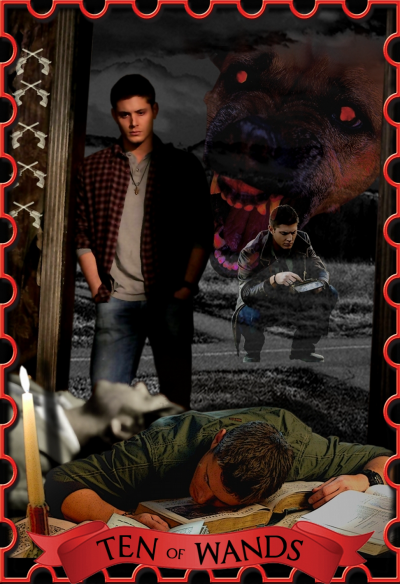 So the prompt was Dean’s deal – which seemed to contain much of the burden and weariness that the card is about – he has control but feels everything has slipped away from him all the same.